Model 222 — RGM Watch Co. The Model 222 is a modern wristwatch with a vintage Hamilton 10 size pocket watch movement at its heart. 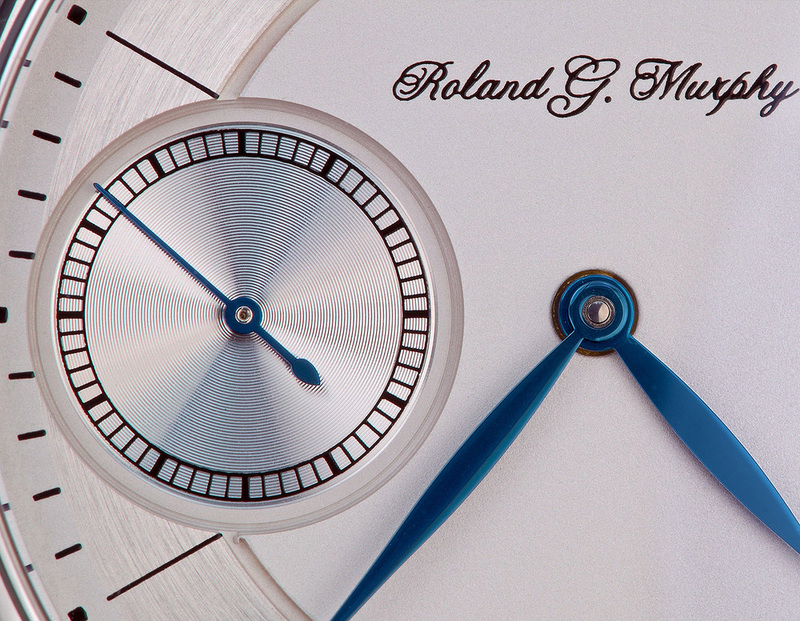 RGM was the first to use these wonderful classic movements in a wristwatch. Unlike others, our movement is rebuilt using only parts that are in optimum condition, including a new mainspring we had made, then we hand polish the steel parts on a tin block to better then original condition. The movement is carefully reassembled and adjusted by one Watchmaker. The 921 movement has 21 jewels and was made in large quantities, the 923 movement has 23 jewels and is rare with less the 4000 movements manufactured. The finish on the 923 is different then the 921. Movement Caliber: American Made Hamilton (921 or 923) - 10 Size - Manual wind, 21 or 23 jewels, 18,000 vph. Rhodium, Circular Damaskeening. Case: 316L Stainless Steel, 41.0 mm x 12.0 mm. Sapphire crystal front and back, 22mm lug width and water-resistant to 5-ATM. Modern style silver dial, deep recessed second with founder's signature. 23 Jewel with polished recesses in steel winding wheels.